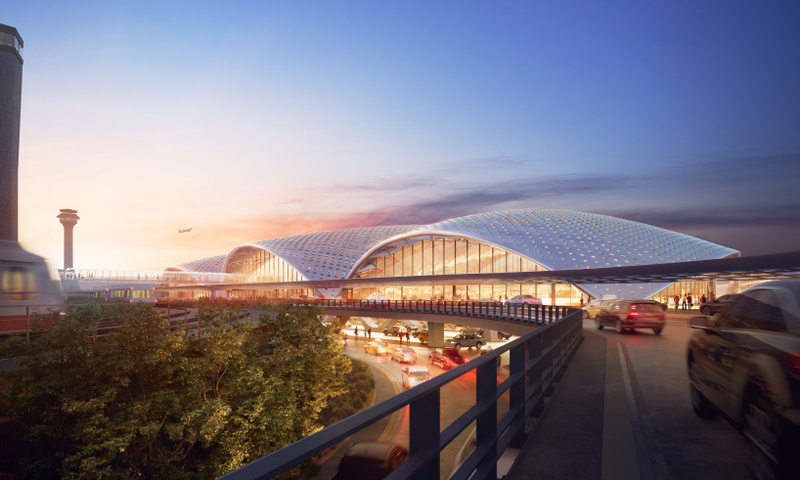 last week, proposals to modernize chicago’s o’hare international airport were unveiled by five competing teams. 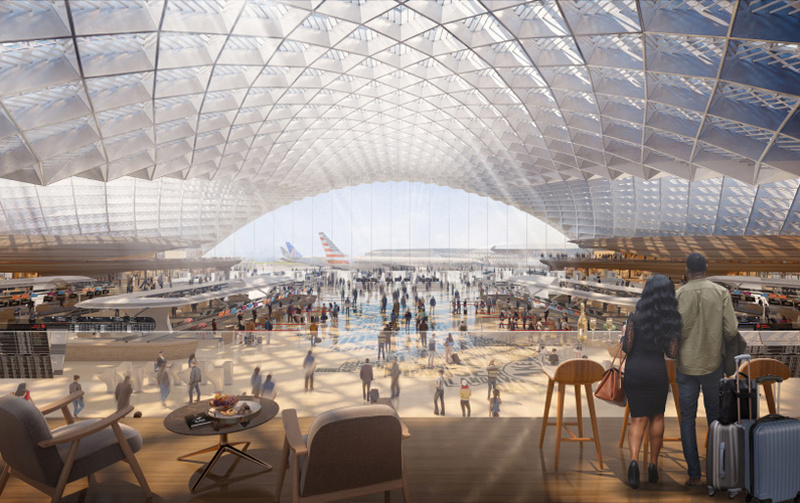 the contest called for a new building to replace the airport’s existing 1960s structure with ‘a cutting-edge global terminal that reflects the legacy of chicago’s innovation, architecture and diversity’. 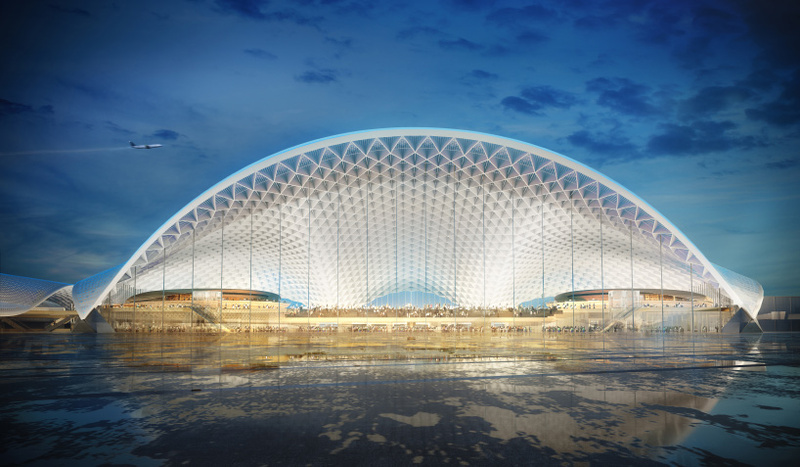 one of the shortlisted teams is a joint venture led by foster + partners and chicago-based firms epstein and moreno. 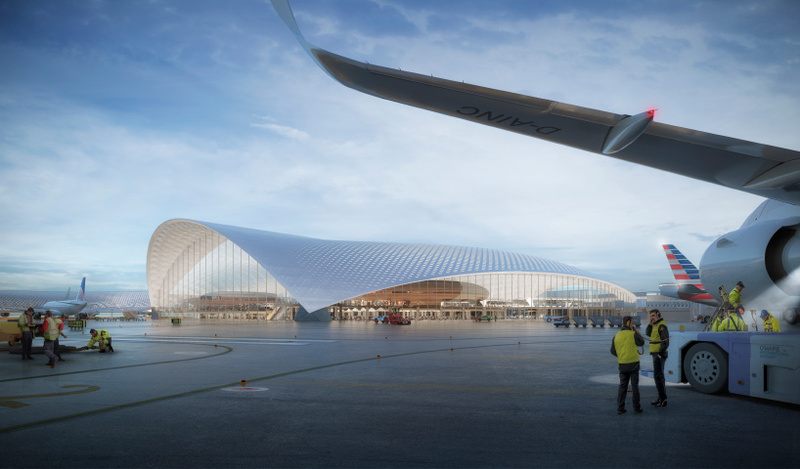 approaching the terminal building, departing passengers first encounter three sweeping arches that create a dramatic canopy over the drop-off area. 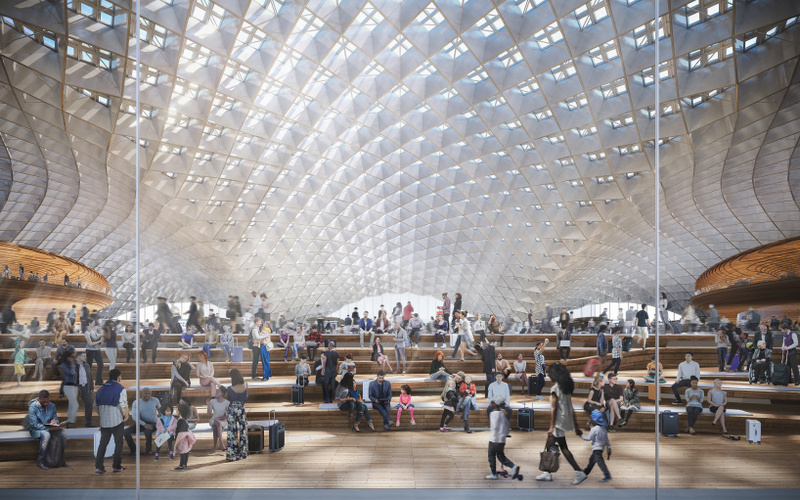 the arches then merge into a single curve that encloses a naturally-lit column-free space. 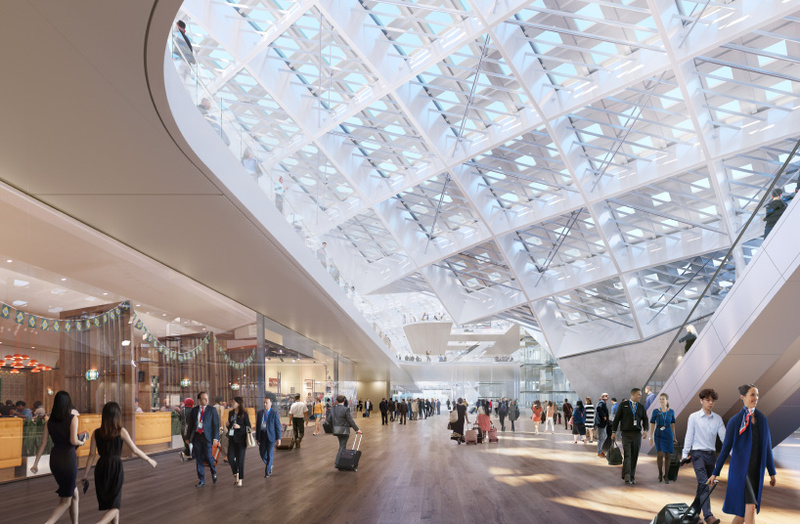 supported on its perimeter at just six points, this distinctive roof structure unites the scheme through the creation of a grand unified space. 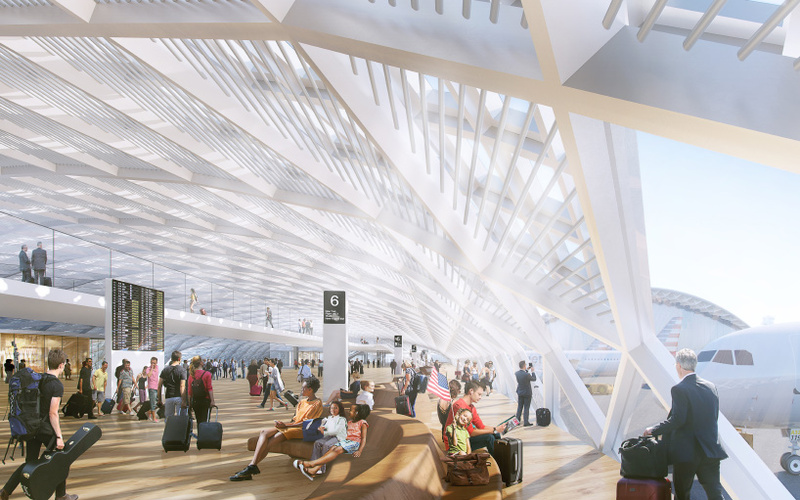 a large panoramic window gives passengers a sense of orientation and promotes intuitive wayfinding. 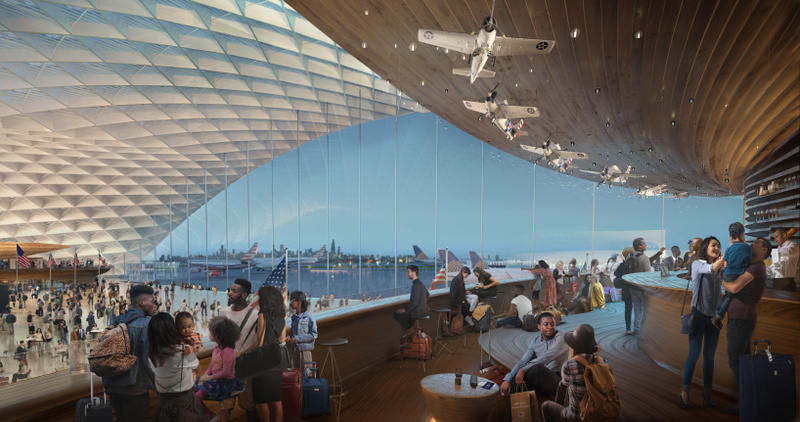 conceived as a ‘theater of aviation’, passengers are invited to relax and take in views of the airfield. 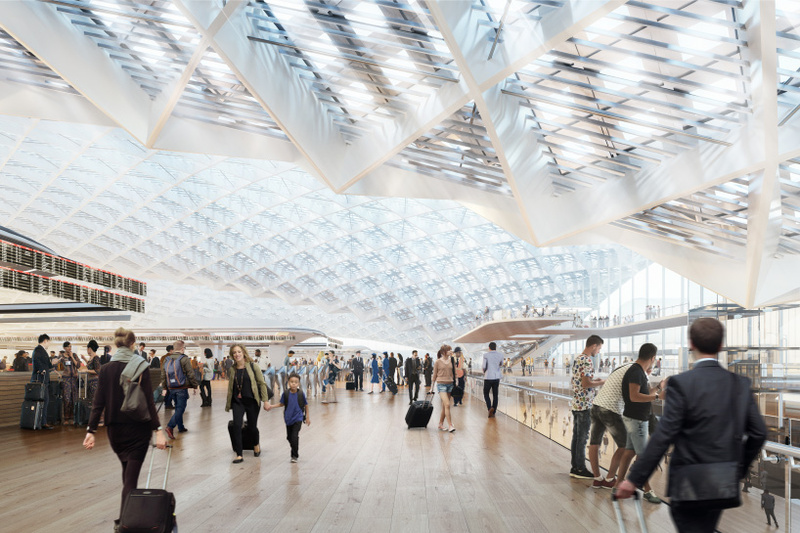 ‘in 1991, we revolutionized airport design with stansted,’ foster continues. 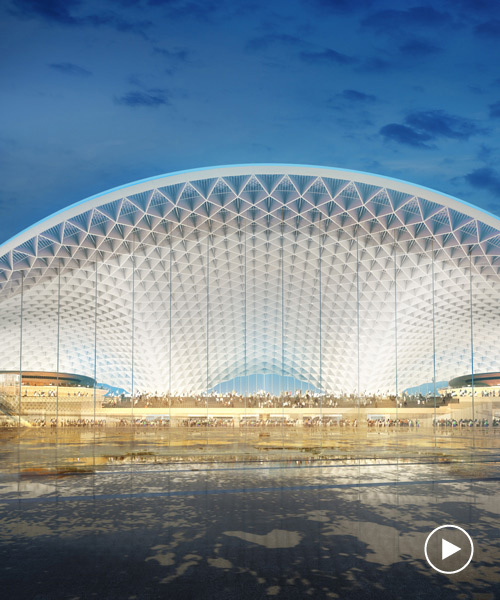 ‘at o’hare global terminal, we are creating another revolution — an extraordinary shell with a span of 550 feet, with views that create a direct visual relationship with the aircraft and a sense of orientation and drama, a space that truly lifts the spirits. 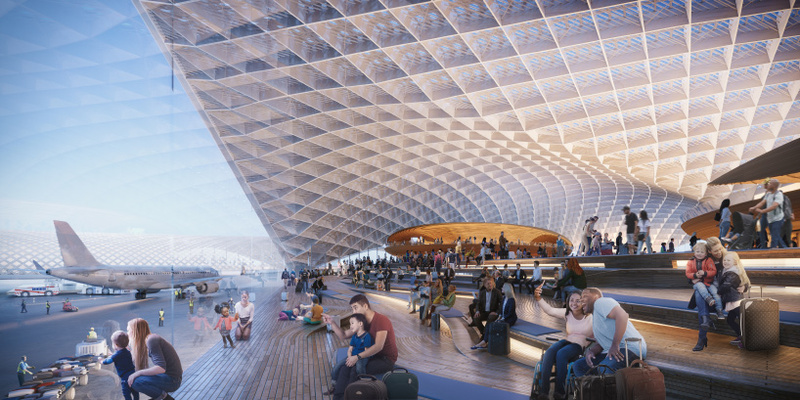 it pushes the limits of technology to create a space that is generous, flexible, and points to the future.’ an exhibition of the proposal, together with the other four entries, remains on display at the chicago architecture center until january 31, 2019.